There's more to the Perley Rideau than you expect! 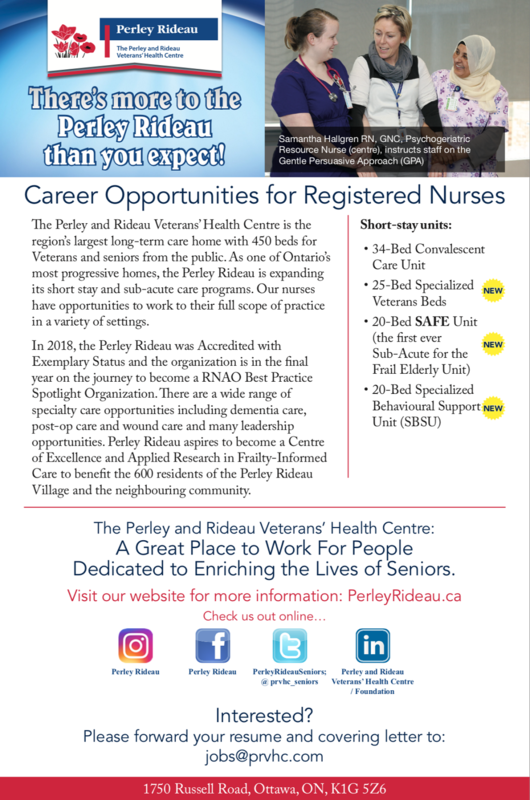 We seek RNs to join the Perley Rideau team. Opportunities include full-time, temporary full-time and part-time roles supporting our long-term residents as well as speciality unit – the Sub-Acute for the Frail Elderly (SAFE) Unit. The Perley and Rideau Veterans’ Health Centre: A Great Place to Work For People Dedicated to Enriching the Lives of Seniors. Please forward your covering letter and resume to jobs@prvhc.com.